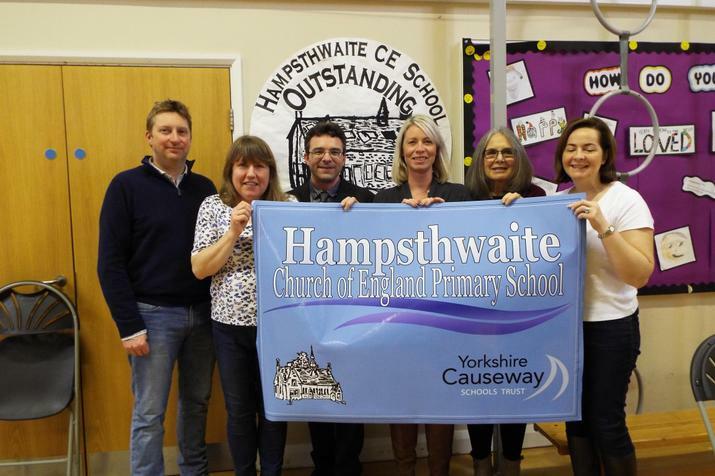 1st February 2017 marks a key point in the history of Hampsthwaite CE School, as the school converted to Academy status, to join Yorkshire Causeway Schools Trust (YCST). As an Outstanding school, we had been looking for some time for opportunities to collaborate and work with other schools. When the opportunity arose to join YCST, the governors held a full consultation which had very positive responses, and then resolved to join the Trust. 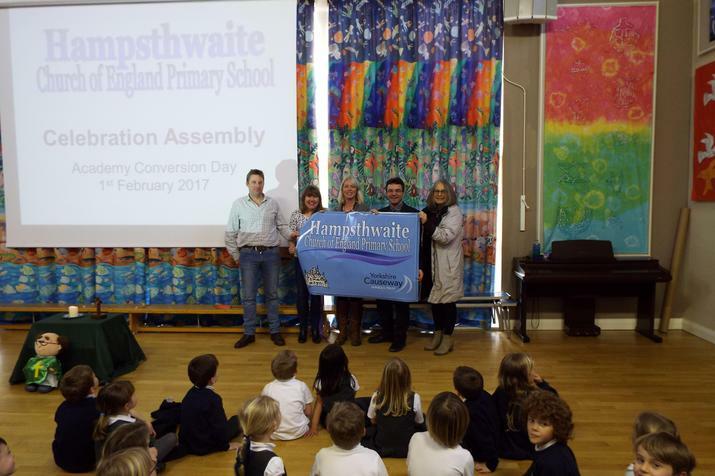 A special assembly marked the occasion of Academy Conversion. We looked back at the history of the school, from 1861 to the present day, and reflected on the changes in our world over time. After a crossword quiz to see who could recall the names of all the schools in YCST (which was a draw with the children and adults scoring 4 each! ), children from the School Forum shared their thoughts and ideas about future work we might do with the other YCST schools. 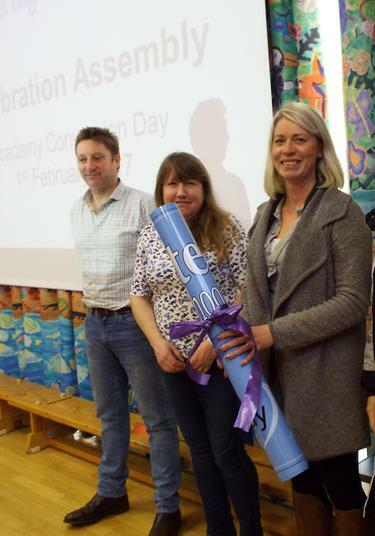 Staff also described some of their experiences of working with staff from the other schools so far, and things that may happen in the future, as this new chapter in the school's history unfolds. 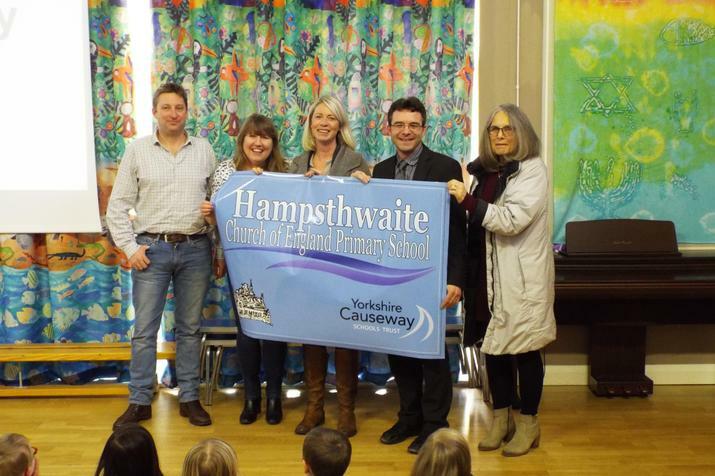 Unveiling a new school sign, school governors were delighted to take part in the celebrations. We look forward to many new and exciting opportunities in the future to share, work and learn with and alongside the other schools, and to build many new and lasting relationships between us all.